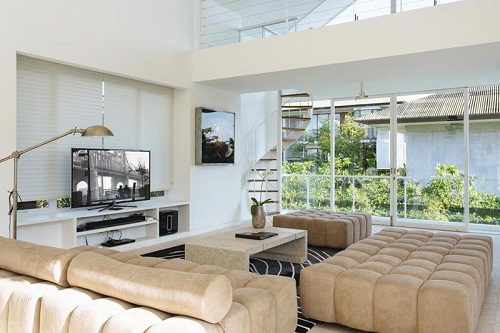 We describe Villa Canggu as versatile because it is actually two villas in one: the main four-bedroom Villa Canggu South complete with its 20-metre swimming pool can be rented independently or in conjunction with sister Villa Canggu North, offering two more bedrooms, an additional living and dining area and an second swimming pool. 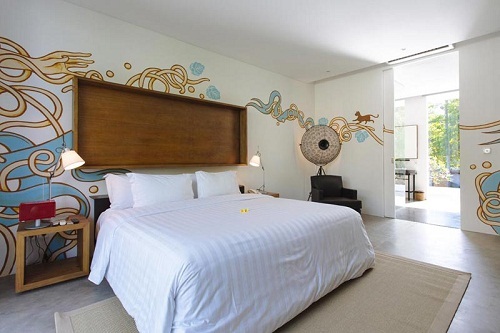 Villa Canggu sits 100 metres from the beach in a local village neighbourhood. A few hundred metres in either direction along the beach will bring you to some popular beach bars and small restaurants, especially popular around sunset time. Check out Old Man’s restaurant, bar and live music venue a short walk up the beach to the south-west, as well as the well-known Echo Beach for daily barbecues and Sunday-night live music. If you are interested in learning to surf, High Tide Surf School (for kids and adults) is situated just five minutes’ walk up the beach at Batu Bolong. Nelayan Beach immediately in front of the villa is also popular with surfers.